October is a great time of year to have work done on your driveway. Joan Krotenberg knows that, and a year ago this month, she hired North Jersey Paving and Construction to do work at her Livingston home. 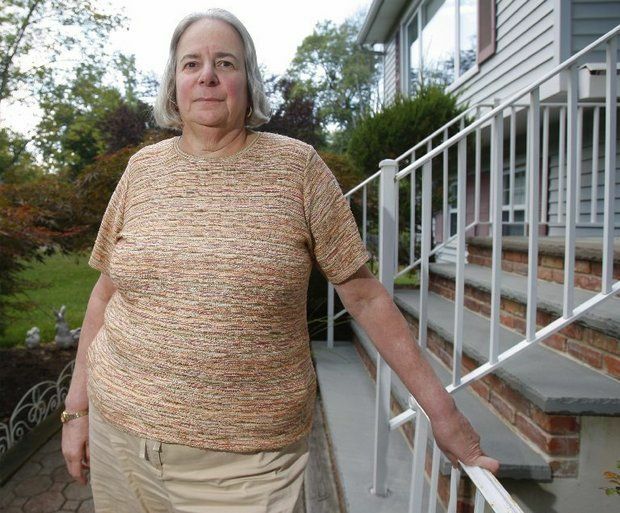 She ended up with an ill-fixed driveway that led to finger-pointing and a multi-state family squabble that ended up in divorce court. Her driveway remains in limbo. She said she paid $2,500 for the job, but now the driveway needs to be ripped up and redone, at an estimated cost of $4,500. Krotenberg filed a complaint with the Division of Consumer Affairs in August, and the case went to a mediator. The mediator reached out to Gorman, who on Sept. 2 promised he would stop by Krotenberg’s home “to see what he could do,” email correspondence showed. But by Sept. 8, Gorman didn’t call or stop by, Krotenberg said. The following day, the mediator said he’d call Gorman to give him another chance. Then the mediator learned something new. Gorman had a partner named William Mesker, who recently bought Gorman out of the business, Mesker said, because of other customer complaints. And, the mediator said, Mesker promised to call Krotenberg about the driveway problems. But he didn’t call, Krotenberg said. 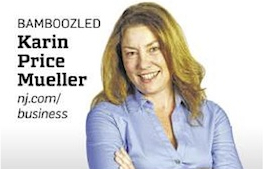 She said she left half a dozen messages for Mesker over the next week, but he didn’t return her calls. Then the weekend of Sept. 13, Krotenberg saw a new ad in a local shopper. It was for J. Gorman Paving & Seal Coating, which claimed to be “fully licensed and insured,” and displayed a specific Home Improvement Contractor (HIC) registration number. So Krotenberg went to the state’s site to look up the company by its registration number, but nothing came up. Krotenberg said she notified the mediator, who in an email confirmed he couldn’t find that registration number either. Soon after, the mediator learned that the HIC registration number was pending, and that’s why it wasn’t in the public database. The mediator also said Gorman said Mesker had to travel to Canada, but that Mesker would call Krotenberg the next week. That was Sept. 16. While we took a look at Mesker, Gorman, the companies and the registration numbers, the mediator sent Krotenberg another email. “He said he talked to Mr. Mesker and that he said he would take care of my driveway. He is going through a divorce and was claiming to be in court even as they spoke. Really?” a dubious Krotenberg said on Sept. 23. But by the start of October, Krotenberg said she still hadn’t heard from anyone. We learned more about both companies. 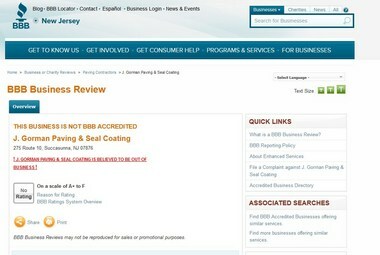 Of J. Gorman Paving & Seal Coating, BBB said it believed the company was out of business. 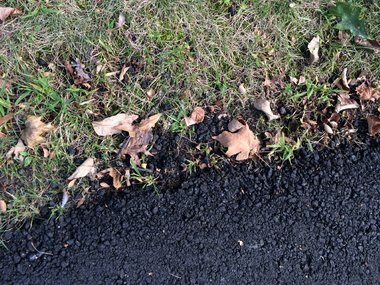 North Jersey Paving also had nine default judgments against it worth tens of thousands of dollars, public records show. J. Gorman Paving has two judgments against it, one that was paid, and one for $3,957, which is still outstanding. These were not from customers but from other business dealings. J. Gorman Paving has not filed with the state as a business entity, and its Home Improvement Contractor (HIC) registration was in question, records show. The registration expired in February 2010, a Consumer Affairs spokesman said. “We recently received an application for reinstatement that is pending,” he said. We shared that the registration number was used on an advertisement, and we asked if that’s legal. Gorman and Mesker were both listed with the state as the owners of record of North Jersey, but the spokesman said in early September, Mesker notified the state that the two had split as business partners. The companies have used several addresses over the last year, including post office boxes, but Krotenberg noticed that both companies were now using an East Rutherford address. Hm. If the business partners went their separate ways, why were they still using the same address? We reached Mesker by phone. He said he hasn’t called Krotenberg because he’s been in divorce court, and he’s splitting with his wife, who happens to be Gorman’s sister. Mesker said he’s moved to Texas to be near his parents, who are helping him with his children. He said he still has clients for North Jersey Paving, and the company will remain in business even with him in Texas. We asked about the Krotenberg case and Gorman. He explained that they started the business together in 2010. He also said he’s suing Gorman for taking a $36,000 check from a customer of the company after Gorman was no longer associated with the company. There were no public records showing such a suit had been filed by publication. We asked about the East Rutherford address, and if it was a storefront for the business. Mesker said it was, and he said he was unaware Gorman was using the same address. Mesker said he wants to clear his name and fix things for customers. He said he’d have his attorney send Krotenberg a letter detailing his offer. “I’m trying to do the right thing,” Mesker said. That was Oct. 1. At the time of publication, Krotenberg said she hasn’t received a letter or a phone call from Mesker or his attorney. Later that day, we talked to Gorman. Gorman said he told the Consumer Affairs mediator he would fix the job, but was told Mesker was taking care of it. We asked about the invalid registration number, and Gorman said he didn’t know he was doing anything wrong. We explained that Consumer Affairs said a company is considered unregistered until an approval comes through. “I was not knowledgeable about that situation,” he said. We told him what Mesker had to say about their relationship, and we asked about the complaints Mesker said he had received. He also said the East Rutherford address is not a storefront, but his attorney’s address. “That’s my registered agent,” he said. We went back to Consumer Affairs, which said when the state learns someone is wrongly using a registration number or is unregistered, it would typically give the contractor a window of time to come into compliance with the law or face a penalty. On Sept. 22, during our investigation, Gorman’s number was reinstated, so he’s now in compliance. Consumer Affairs also confirmed Mesker promised to fix the Krotenberg job, but there was no time frame specified in which the job would be done. We shared it all with Krotenberg.